There’s no question that Tennessee has one of the most diverse population demographics. The Volunteer State has people of all walks of life, races, and ages. Speaking of age, while a majority of Tennessee residents are young or in mid-life, there’s a fairly good number of people who are 62 years and over. Actually, their population is about 1,036,800 – a whopping 17% of all the residents. Now, if you fall under this category and are a homeowner, you may be eligible for a reverse mortgage in Tennessee. Homeowners with outstanding mortgages are used to making monthly payments for their mortgage loans. Well, that’s how most mortgages work – you take out a loan, use it to finance a home purchase and repay it on a monthly basis. But that’s not the case with a reverse mortgage. It is your lender who will give you money every month (or periodically as agreed upon in the mortgage contract). But there’s a catch; you need to be a homeowner who is at least 62 years old. The whole essence of a reverse mortgage is to help senior citizens who are low on cash to get money without having to work. If you are eligible you will only use your home’s equity to get this money, and you won’t have to pay it back unless you move out or sell the home. It’s really a win for you since it’s the closest thing to ‘free money.’ Having said that, you need to understand the exact nature of a reverse mortgage and how it works. Otherwise, it might mature without your knowledge, which might lead to a foreclosure. 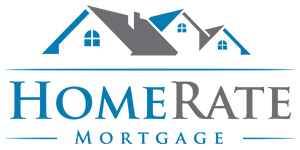 These are some of the mortgage basics that we here at HomeRate Mortgage like helping homeowners with. That’s why we have covered everything there is to know about a reverse mortgage in Tennessee. Please read on to find out whether it is a good for you and what to expect from your lender. If you need additional information, don’t hesitate to contact us. Our team is always on standby to answer your questions.